The Tiger T8810 is a large camera with an impressive 47-megapixel ON Semiconductor KAI-47051 CCD image sensor. 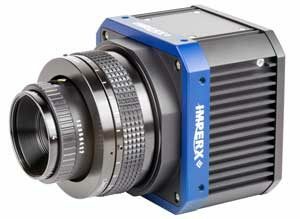 The camera provides 8856 x 5280 resolution for capturing fine details and frame rates up to 3.2 fps. The camera provides programmable image resolution, frame rates, gain, offset, external triggering, strobe outputs and Look-up tables (LUTs) The camera is fully field upgradable and available in both Ruggedized and Industrial versions.